Sai Pallavi forayed into Tollywood with the recently released romantic family entertainer Fidaa directed by Shekhar Kammula. The Premam actress was largely praised for carrying the film single-handedly and the collections so far look solid for a Superhit flick. 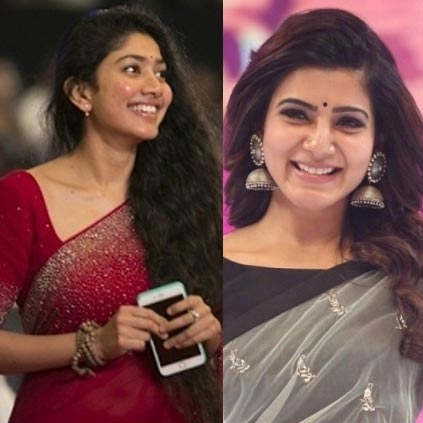 Samantha who apparently watched the film recently was all praise of Sai Pallavi. Here is what she had to say through her Twitter space, "@Sai_Pallavi92 You were everything and more in #Fidaa . Will now go watch a film if it has Sai pallavi in it 👏👏great job. Go kill it!!" Neetu Chandra’s next Tamil film is..
Drunken driving case against Arun Vijay; Final verdict out! After Dhanush, this South Indian star signs an international project! Good news for Ajith fans! It is a big day for Vivegam! MASSIVE ANNOUNCEMENT: Vijay's Mersal Audio Launch Date! | Is Vijay Singing For AR Rahman? Priceless: Vijay Laughs At Samantha Marriage Meme | Audience Laughs Louder! People looking for online information on Fidaa, Sai Pallavi, Samantha will find this news story useful.